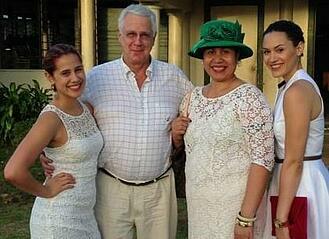 I was born in Vaipuna, a small village near Apia, the capital of Samoa (over 7000 miles away from Boston). Vaipuna is a mere 5 feet above mean high tide which means it’s particularly vulnerable to climate change and its consequences, namely sea level rise, frequent cyclones, and extreme high tides--all of which result in massive coastal flooding. Countries with coastal settlements all suffer from many of the same disasters, but Samoa and many other Pacific Islands face unique challenges in the context of climate change. And these challenges frighten me. My first personal contact with the life-threatening forces of nature was during Cyclone Ofa in 1991. 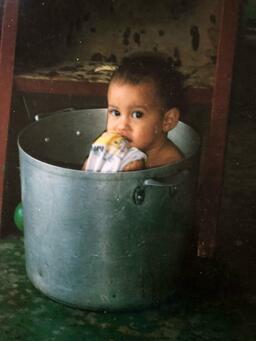 I have an old baby photo of me sitting in a large stew pot in which my parents bathed me using pure rain water because it was the only bathtub they had. It’s a darn cute photo. But the truth behind it was that my parents had to flee their seaside home after it was destroyed by 125 mile per hour winds to go inland to Vaipuna (also under water but safe from the waves). We lived in Vaipuna with my extended family about a foot above sea water for several days until the water receded. We lost all our belongings to the sea and it took a long time for my aiga (extended family in Samoan) to rebuild. While I have no personal memory of this destruction (I was 1 year old at the time), I realized, many years later, how the dilemma of Samoa’s geographic isolation (which prevents islanders from physically escaping) and cultural traditions cause untold stress. Samoa is no more coastal or vulnerable than, say, Miami. But coastal Floridians have safety nets. Property owners in Miami who feel threatened by coastal flooding can, in theory, retreat inland or buy a house on higher ground. In fact, they could move to another state entirely if they wanted to. Samoans don’t have that option. Unless they buy a plane ticket off the island (which is financially impossible for most Samoans), Samoans can’t move inland because of traditional land tenure. In Samoa, 85% of all land is so-called “custom land” which simply means that it belongs to the aiga and cannot be bought or sold. Families are linked by centuries old custom to their land. They have no rights to any other aiga’s land which means they cannot flee if their land is destroyed in a cyclone. Coastal flooding has increased exponentially in the last 15 years in Samoa, as well in places like Puerto Rico and Louisiana. But again, Samoa’s challenges are unique. Samoans are bound to their land and home, and are governed by the Fa’a Samoa (the Samoan Way), a complex 3000 year old guideline where family is all important and respect of elders is strictly adhered to. We bury our dead close by in the family compound because souls are considered physical and it has traditionally been believed that Samoans should die at home. 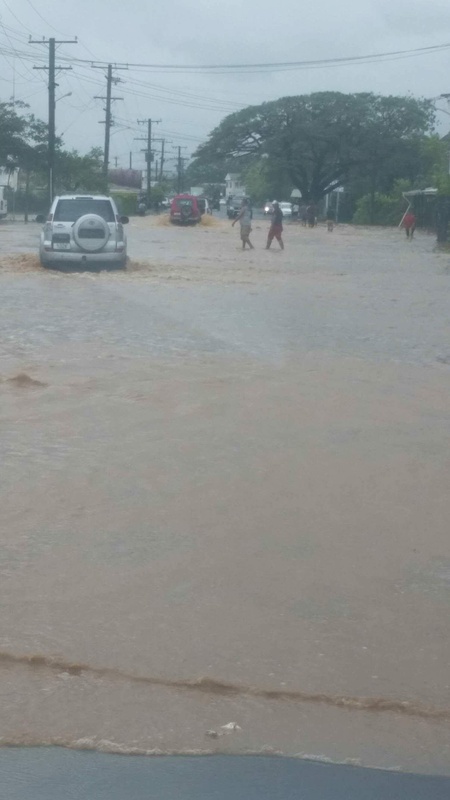 If the family compound is flooded during heavy rains or cyclones, families not only risk losing an ancestor but linear influence in decision making within their extended family. While they can’t move to escape sea level rise because of the nature of land ownership, they also can’t move because of their deep connection to those who have passed. Though my aiga hadn’t been confronted by these challenges many years ago, they are keenly aware of them today. Our past has strong implications for our present connections to family so if we lose those ancestral links, we lose a part of who we are and feel culturally incomplete. While the psychological struggle is insidious and difficult to cope with, the physical damage caused by major weather events is much more apparent. Pacific islands account for a tiny share of the world’s greenhouse gas emissions, yet small island nations suffer some of the worst consequences of climate change and bear the brunt of increasingly common heat waves, cyclones, and floods. For island states such as Tuvalu, Kiribati, or the Marshall Islands, for example, rising sea levels are an immediate existential threat. These islands exist on territory that sits merely meters above sea level, at best, which means that any rise in sea level eats into their limited landmass. Five low-lying islands within the Solomon Island archipelago have already been submerged. And if the physical damage caused by extreme weather events wasn’t bad enough, we’re also seeing the spread of water and mosquito-borne diseases (like chikungunya, which I contracted two years ago. Long story short: it was awful). Combined with rising sea levels and warming temperatures, my beloved Samoa and many other islands in the Pacific are changing right before our eyes. Bottom line: climate-driven extreme weather is impacting people everywhere regardless of location or background. While the international negotiation process moves at a glacial pace, some of us are trying to do something about it. 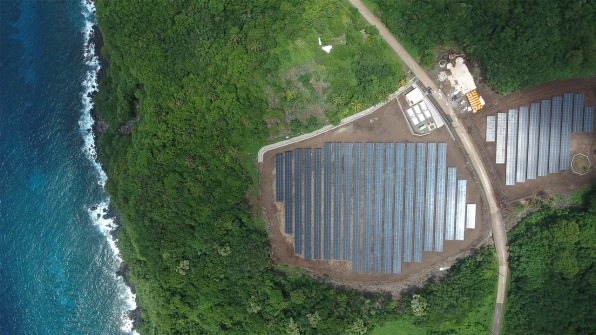 Samoa, for example, plans to convert from its diesel-reliant power plants to 100% renewable electricity by 2025 with the help of Tesla’s scalable Powerpack battery storage solution. Two battery systems were installed this summer and since then, the island has had fewer outages, and the electricity supply is steady. Fortunately, many more examples of these kinds of efforts exist. But I must wonder -- is it enough? I surely hope so. The unique experiences of Pacific Islanders and my aiga in combating the widespread effects of climate change have been long overlooked. Communicating the harsh scientific facts may be overwhelming to most people, but what is at stake for my Pacific brothers and sisters is life and death. My family and village’s struggle conveys the importance of the personal and political choices that we all make right now. In the meantime, I can only hope that these choices will be enough to keep Vaipuna, my home, above water.